Revolutionaries should not be rejoicing for all this saying to the pauperized people who invested their hopes in Syriza, "you are idiots for supporting Syriza, we told you so!". But this is not the end of revolutionary politics. Indeed it is only a bare beginning. For the sectarian denunciators the capitulation of Syriza’s leadership to the blackmail tactics of the Eurogroup is nothing more than an “I told you so” moment. They are completely clueless about the next step. All they can do is pat themselves on the back for having their perspective “confirmed”. If you ask them what initiative they propose to make a dent in the consciousness of the working class and win them to revolutionary socialist policies as the only alternative to austerity, they simply roll their eyes in disbelief. “The masses MUST read our web site then join our movement because we correctly predicted the betrayal of Syriza.” This is not revolutionary politics but a rather sad parody of it. 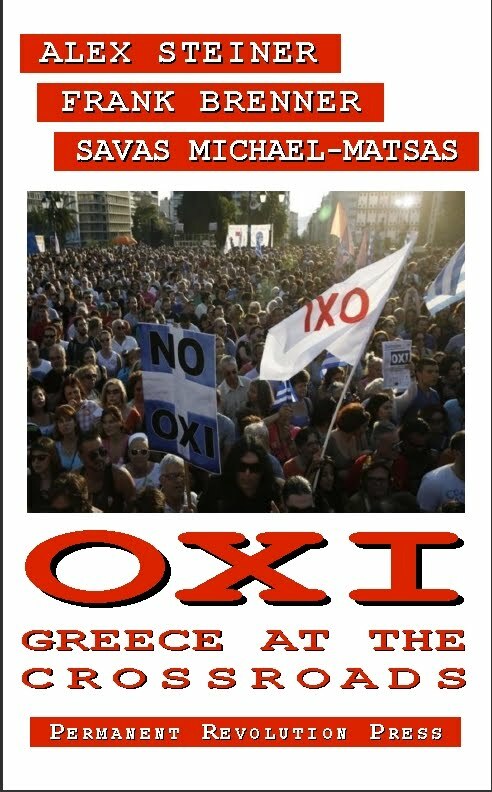 We are printing excerpts from Michael-Matsas letter because in contrast to the lifeless approach of the Internet sectarians, he is proposing a set of bold initiatives that could potentially transform the political situation in Greece. It is of course by no means guaranteed that the EEK will succeed in this endeavor. But an important element of revolutionary politics is the art of testing the temper of the masses. The proposed march of workers from Thessaloniki to Athens strikes us as exactly the right approach for a small revolutionary movement to take in this situation. How then is such an attitude on our part towards the proletarian organizations led by the reformists to be reconciled with our evaluation of reformism as the Left wing of the imperialist bourgeoisie. This contradiction is not a formal but a dialectical one, that is to say. one that flows from the very course of the class struggle. A considerable part of the working class (its majority in a number of countries) rejects our evaluation of reformism; in other countries, it has not as yet even approached this question. The whole problem consists precisely of leading these masses to revolutionary conclusions on the basis of our common experiences with them. We say to the non-Communist and to the anti-Communist workers: “Today you still believe in the reformists leaders whom we consider to be traitors. We cannot and we do not wish to impose our point of view upon you by force. We want to convince you. Let us then endeavor to fight together and to examine the methods and the results of these fights.” This means: full freedom of groupings within the united trade unions where trade union discipline exists for all. It is well to remember Trotsky’s words today. Allow me, first, to remind you what happened before the agreement with the Eurogroup. We have to keep in mind that the elections of January 25, 2015 in Greece was not just a banal parliamentary contest but a dramatic turn in the class struggle in Greece and in Europe: after five years of a depression deeper than that of the Great Depression in the US in the 1930s, after an unprecedented social catastrophe exacerbated by the measures of social cannibalism imposed by the troika of the EU, the ECB , the IMF, and their servants in the successive Greek governments, finally the struggles of a people reduced into a nation of the destitute led to a huge tide of anger of the masses raising to power a left party, for the first time in the history of a country marked by the civil war of the 1940s and non-stop anti-communist witch hunts. The tide continues to grow, full of hope, despite the confusion and doubts spread above all by the zigzags of the leadership of Syriza. First zigzag: after its victory, Syriza formed a coalition government with a far right, xenophobic, anti-Semite nationalist party, the Independent Greeks, linked with the shipowners and the Church, although it could form a real government of the Left, which, even with only 149 seats among the 300 seats in Parliament, it could be much stronger politically winning a much broader political base in society itself. (See my previous essay, The Greek people have shaken the world.) The initial announcements by Tsipras, Varoufakis and other Syriza ministers defying the EU, the troika, Schauble, Merkel and the Memorandum, had produced enthusiasm among the devastated people. "Unfortunately, we have only 149 deputies; if we had 180 we could propose ....Savas Michael-Matsas as a candidate!!!" A rather rude joke but it shows that the alternative to an alliance with the Right should be an alliance - to be avoided - with forces in the revolutionary Left. These right wing openings to hostile bourgeois forces for class collaboration were done with the excuse that "a broad national patriotic, anti- Memorandum front" was necessary to face the enormous pressures by the "ordoliberal" Germany, the EU, the ECB, and the IMF. Syriza was in any case vulnerable to these pressures as it always stressed that it will avoid any break from the EU and the Eurozone, and it considered Grexit a calamity. John Milios et al. (Greek left economists and cadres of Syriza) were correct, in their criticisms later against the agreement with the Eurogroup, pointing out that by making common cause with Greek bourgeois interests, Syriza became even more vulnerable to the pressures and blackmail of a hostile EU led by Schauble's Germany. The strategy of Syriza in these "negotiations" was self-defeating. Never was it prepared for a break and the EU knew this very well. Furthermore, the Syriza leadership never fully understood, or used, the crisis of Germany itself, which while it is facing the crisis in the Eurozone leading to an anti-austerity rebellion by Greece and the other over-indebted countries of the European periphery, is also facing at the same time the Ukrainian crisis. It never played the "geo-political card", threatening, for example, a veto of the EU sanctions against Russia or a withdrawal from NATO. You have to keep in mind that Greece is situated at the center of the triangle of wars in Ukraine, Syria/Iraq, and Libya. On February 20, Varoufakis and Tsipras received an open ultimatum, a cynical blackmail by the EU Commission under orders from Schauble: either the Greeks sign immediately the Statement already prepared or the last channel of financing of the Greek banks by the ELA ( Emergency Liquidity Assistance) of the ECB would be cut off, leaving Greece to face a run on the banks and a declaration of insolvency. We can never call the result of blackmail by the gangsters of big capital "an honorable compromise". It is true that the Eurogroup Statement signed by the Greek side is written in terms of "a constructive ambiguity" as the EU and Varoufakis had said. They have changed semantics: the troika is now called "the institutions", the Memorandum is called "current arrangement", the dictatorial control by the troika is called "review". 1. Syriza abandons its pre-electoral pledge for a negotiated cancellation of the biggest part of the Greek debt. The Statement clearly and unambiguously says: "The Greek authorities reiterate their unequivocal commitment to honour their financial obligations to all their creditors fully and timely". 2. Even if the so-called primary surplus of Greece (the surplus after payment for debt and interests) could be a topic of negotiation taking notice of the current "conditions of the economy in 2015", nevertheless the acceptance of the policy for "primary surpluses" as it was imposed on Greece by the troika in November 2012 is accepted by Syriza i.e the need to continue austerity to get these " primary surpluses", larger or smaller. Paul Krugman is, in a sense, right when he says in the NYT  that the Greeks accepted austerity to "avoid more austerity". But the nightmare of austerity continues, anyway! 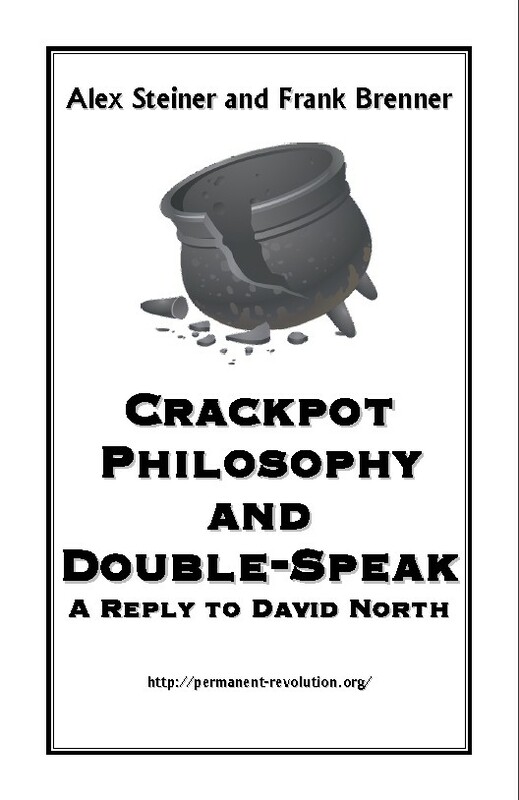 The crux of the matter is that you cannot fight austerity without cancelling the debt and you cannot fight against the crashing burden of the debt without rejecting austerity. By surrendering at this point the rest follows: the privatizations already done are not touched and they will continue for example the privatization of the Pireus harbor; " labor flexibility" will continue in the labor market etc. etc. Every step taken by the Greek government in favor of the people can be considered a forbidden "unilateral measure" and be punished by pushing Greece into default. Anyway the agreement is very precarious , it did not resolved the crisis between Greece and the EU, and it is a factor for new explosions of crisis in the near future. The problem is not only that the leadership of Syriza retreated: they declared the defeat - a victory, and, to add insult to injury, they compared their agreement with... the Brest -Litovsk agreement of the Bolsheviks with Germany!!! Of course, neither Greek workers or the destitute are idiots nor the Syriza members themselves. Already there is an internal crisis in Syriza and it is growing. Revolutionaries should not be rejoicing for all this saying to the pauperized people who invested their hopes in Syriza "you are idiots for supporting Syriza, we told you so" like the Stalinist KKE and many sects do now. From our side, we are in a continuous dialogue with these people, patiently explaining what happens, and what are the disastrous results of the policies of class collaboration with the EU, the IMF and the Greek bourgeoisie. We are advancing transitional demands for the cancellation of the debt, nationalization of the banks and for an emergency program to put an end to austerity, hunger, unemployment, the humanitarian disaster; furthermore to build solidarity and coordination with the workers, and social movements in Europe on an internationalist basis and perspective, against the EU, for a socialist unification from Lisbon to Vladivostok. To give you a more concrete idea, here are two of our current practical projects together with the self managed VIOME factory workers  we are preparing a national March from Thessalonika to Athens, in a month, mobilizing the people all over the country against unemployment and privatizations, and concluding in Athens demanding, among others, a special law to guaranty the rights of the workers of VIOME. A second project is the preparation of our 3rd European Conference early June to bring together fighters and movements coming from different radical traditions and struggles to debate and elaborate a program for a socialist way out from the crisis and a plan for action all over Europe. 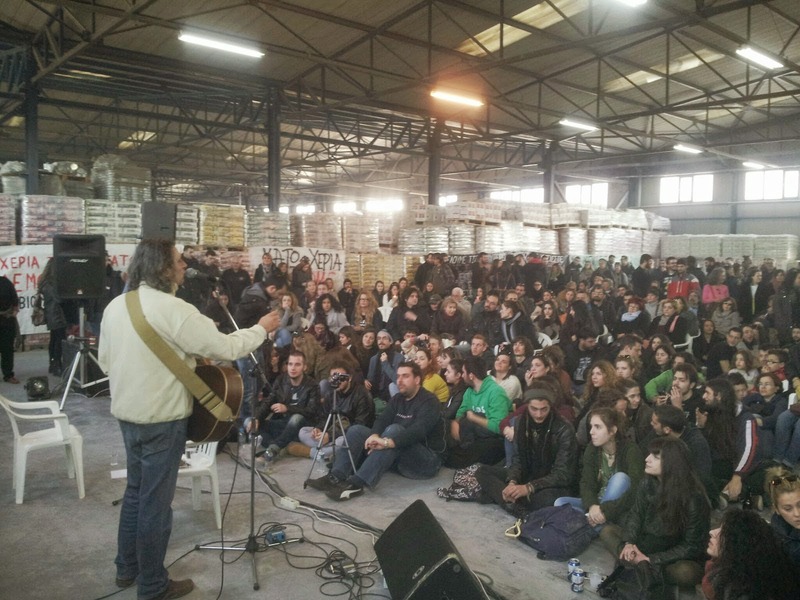 The VIOME factory in Thessaloniki has been occupied and managed by its workers for the past two years. See their web site, http://www.viome.org/. Thank you for a great article. Had commented on the North sect's website. My goodness the replies I received were totally ignorant. I live in Sweden. Know people, real people who live in Athens. All I tried to say in my comments is that Greece is bankrupt and has been since 2010 if not earlier. Thank you for a point in the right direction. A non-sectarian sense of the tactical is one thing, but all tactics are not Marxist. The term "zigzag," doubtless carelessly lifted from Trotsky´s description of the Third International's manoeuvres, describes the sharp changes in direction of a counter-revolutionary movement, it's shifting from ultra-left to opportunist positions, in reality, two polar expressions of the same phenomenon. It´s use with regard to Syriza, whose left credentials never passed beyond words and whose trajectory to the right is in practice uninterrupted, is inappropriate. What tactics flow from such a clumsy attempt to describe one situation with terminology historically used to describe quite another? Is Savas Michael-'Matsas suggesting that Syriza SHOULD have played the "geo-political" card, that is, threatened to pull out of NATO to gain better terms? It sounds like it. Put another way, having secured a better deal, Syriza commits Greece's inflated military to NATO provocation and war against Russia. Interesting. I think "zig-zag" is an appropriate term to describe the maneuvers that a reformist party like Syriza employs when it tries to reconcile its election promises with the reality of what it is doing once in office. It is a contradiction and they must live with that contradiction at least to the extent that they need to provide explanations to their constituency. Maybe another word is better but the point should be clear. I think Savas Michael-Matsas was not suggesting what Syriza should do, but rather explaining that if Syriza were serious about negotiating then even according to their limited perspective they should at least keep their bargaining chips intact. The fact that Syriza gave up its bargaining chips before the negotiations even began - and those bargaining chips would include the threat to leave Nato or veto EU sanctions against Russia - shows that Syriza was never serious about the "negotiations". It did not go into the negotiations with any notion of playing hardball, but basically was just hoping that the EU would give them a break. Your argument against the ICFI here amounts to nothing more than a crude straw man. "If you bring up the betrayals of Syriza to them, members of the SEP will surely say 'I told you so'" etc.. In claiming that the ICFI has no "concrete" solution,you never mention the ICFI's position that workers throughout Greece and Europe must not only become familiar with the historical lessons of the international workers movement, the living embodiment of which is the World Socialist Web Site, but you also never mention the IC's call for workers to form their own independent political organizations. It is precisely this which you want workers to avoid at all costs which is why resort to crude subjectivity. 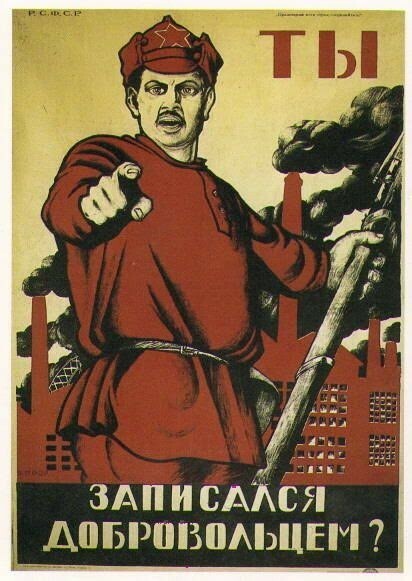 There can be no doubt that had you been alive in the summer of 1917, you would doubtless have denounced the Bolshevik Party as "sectarians" and claimed that the Provisional Government was simply "zig-zagging." Further, your quotations from Trotsky once again actually undermine, rather than strengthen your position. Trotsky is speaking of creating soviets in Spain which would inevitably have the involvement of the trade unions and other reformist elements, but nonetheless the class content would be of a proletarian character. You would have us believe that a group of pettit bourgeois academics who have explicitly renounced Marxism, i.e. Syriza, constitute a genuine workers organization. This, in spite of their, "zig zags" which consistently "zig" to the right but somehow never "zag" back to the left. "You would have us believe that a group of pettit bourgeois academics who have explicitly renounced Marxism, i.e. Syriza, constitute a genuine workers organization. This, in spite of their, "zig zags" which consistently "zig" to the right but somehow never "zag" back to the left." I will leave aside your accusation of that we characterized Syriza as “a genuine workers organization”, - a patently false statement as we never said anything of the sort - in order to focus on your assumption that a reformist party like Syriza is somehow incapable of maneuvers, that it can only follow a straight right wing trajectory. Such a conception is not only non-dialectical, it completely denies that there is any connection between Syriza and the masses who voted for it. If that were the case then why did Alexis Tsipras refuse to be sworn in by the Archbishop of Greece, and why did he pay tribute to the martyrs of the partisans who were murdered by the Nazis on his first day in office? To be sure these were symbolic actions and in no way set the fundamental path on which Syriza is and has been embarked, which was to try to follow the impossible logic of ending austerity while at the same time remaining within the EU and within the capitalist framework. It was an impossible contradiction and Syriza’s capitulation to the Eurogroup was entirely predictable. But the twists and turns of its leadership and the internal dissension this has generated is not without significance for those who are trying to make the most of the political situation. It's a fissure from which it may be possible to win over some of Syriza's supporters. For the propagandists who are disconnected from the masses and think their job begins and ends with denunciations then of course it really does not make any difference. This same formal and abstract, that is, non-dialectical thinking, cripples sectarians not only in assessing a historical event, but also in formulating a program for intervening in the situation at hand. Indeed it would be very difficult for members of the ICFI to find anyone anywhere with whom any kind of joint work is possible. It would not be possible for them to work with any political group since by definition any political group that is not already affiliated to the ICFI is by definition “pseudo-left”. The same goes for unions, who the ICFI never tires of telling us, are all “bourgeois”. So who in the world will join this "concrete"
"the living embodiment...of the historical lessons of the workers movement." You are aware I trust that the Holy Roman Catholic Church considers itself "the living embodiment" of Christ? As for your speculation about what I would have done during the Russian Revolution, I think I know what you would have done. You would have posted screeds on your Facebook page thinking that is somehow equivalent to making a revolution.